I have discovered very effective methods on how to colon cleanse naturally. One of the steps I do to cleanse my digestive system naturally is by eating foods that act as cleansers or sweepers. Remember that what you eat has the greatest impact on the health of your colon. Natural colon cleansing is better than using artificial methods such as colonic irrigation or synthetic laxative medicines. You can use these artificial practices if prescribed by your doctor. But then, natural is always better than artificial. What are steps on how to cleanse your colon? 1. Eat plenty of fruits and raw vegetables everyday. Choose fruits for dessert and even as snack. Eat a fresh green salad sprinkled with extra virgin olive oil before your meal everyday. 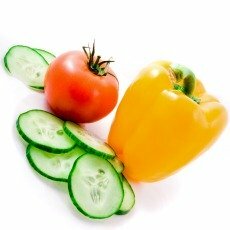 Fruits and vegetables are proven natural colon cleansing foods. They can cleanse you naturally because of the dietary fiber they contain. Sprinkling olive oil on your green salad also boosts its cleansing power naturally because olive oil has mild laxative properties. Dietary fiber is naturally composed of soluble and insoluble fiber. Most fruits are sources of soluble fiber but there are some fruits such as plums that are good sources of both soluble and insoluble types of fiber. Be sure to include 20 to 35 grams of insoluble and soluble fiber in your diet. Studies have shown that both types of fiber can naturally prevent cancer in different ways. Insoluble fiber can't be fermented by the good bacteria known as probiotics but they can soften stool and can help you move your bowel regularly. The colon is a very important organ of your digestive system. You should have at least 1 bowel movement daily within 18 to 24 hours after a meal. Constipation for more than 1 day is one of the abnormal changes in bowel movements that are signs of colorectal cancer. The friendly bacteria in your large intestine can naturally ferment soluble fiber. This fermentation generates short-chain fatty acids. Fatty acids naturally increase acidity in your colon. A healthy colon has an acidic environment to cleanse toxins and prevent polyp formation. These fatty acids also stimulate production of healthy immune cells, which are essential for cancer prevention. 2. Choose a raw food diet. Colon cleanse naturally by eating raw food as much as possible. Raw foods are natural colon cleansers because they are good sources of enzymes. These enzymes can maintain the acidity in the colon, which cleanses toxins and protects its wall from polyps. Raw foods also contain microorganisms that make your immune system healthy. 3. Eat plenty of yogurt. Yogurt has plenty of probiotics. Probiotics are live microorganisms or bacteria that are similar to the good bacteria present in a normal human bowel. They have the ability to cleanse your bowel of toxins. I have breastfed my 2 children when they were infants and I have noticed that a baby who is breastfed always moves his bowel a few minutes after a feeding. Breast milk has plenty of probiotics or the good bacteria which are essential to a healthy colon. 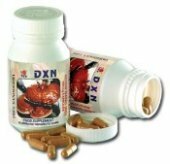 A healthy and clean large intestine enhances the ability of your liver and kidneys to flush out toxins from your body. 4. Drink lots of water and fresh fruit juices. Drinking lots of water is an effective step to cleanse your body systems naturally. Water hydrates your body and is needed by your digestive system to perform well. Drinking the recommended 6 to 8 glasses of water helps you to move your bowel regularly. Fruit juices made out of fresh fruits also help a lot. But fruit juice should not be used as a substitute for water. 5. Go on a fast. Fasting from solid food can be a first step to colon cleanse naturally. When you fast, you help your digestive system unload what's already in it. You allow your digestive system to naturally take a break. Fasting will benefit you most if you eat a lot of unhealthy food. When fasting, drink water and fresh fruit juices to prevent dehydration. You can do all these steps on how to colon cleanse naturally but if you can choose only 2 methods of natural colon cleansing, I recommend drinking lots of water and eating more fruits and veggies. A study published in the Archives of Internal Medicine in February 2011 shows that those who consume the most fiber have better prevention against heart, infectious and respiratory diseases and even different types of cancer.